I was able to attend my third Web Summit last week. This is the second time for me in Lisbon, as I was lucky enough to be invited to talk on the Binate.io stage again after last year. 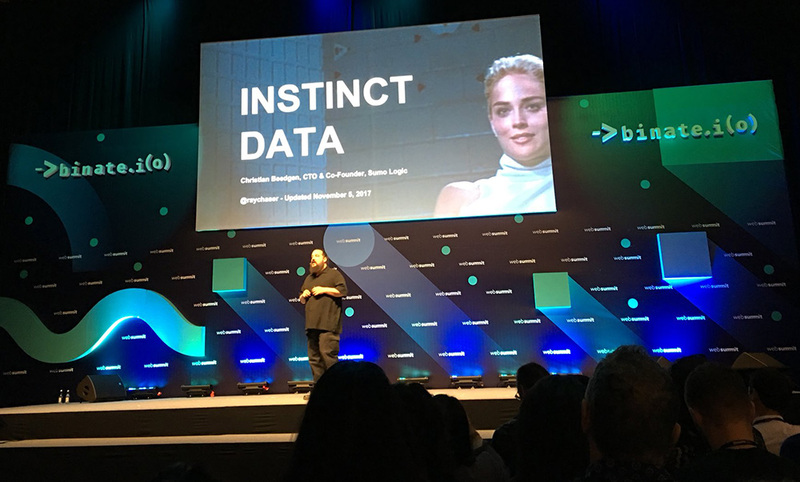 If you are interested, check out my musings on instinct, intuition, experience and data analytics. Web Summit has grown tremendously since I first attended the Dublin incarnation in 2013. This year, the event was sold out at 60,000 attendees (!) - the Portuguese came out in force, but it was very clear that this event is, while of course drawing most attendees from all across Europe, ultimately an international affair as well. With so many people attending, Web Summit can be rather overwhelming. There is a bit of everything, and an incredible crowd of curious people. Lisbon is fantastically beautiful city, off the beaten path when it comes to tech conferences mostly, so the local folks are really coming out in force to take in the spectacle. 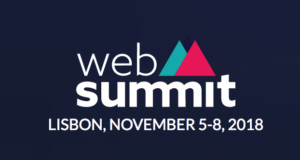 So, what is Web Summit? Originally started in Dublin in 2009, it has over the years become a massive endeavor highlighting every conceivable aspect of technology. There's four massive conference halls with multiple stages for speakers and podium discussions in each hall. Then there is the main arena holding 20,000 people; this is where the most high-profile keynote speakers hit the stage. 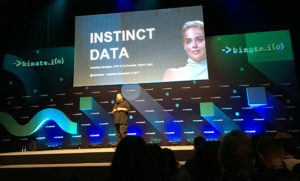 Web Summit has always brought in government officials and politicians to the show as well in an effort to promote technology. I was actually standing next to Nigel Farage at the speaker cloak room waiting for my coat. There was another guy there as well who was already berating this unfortunate character, so thankfully I didn't have to do it myself. I managed to catch a couple of the keynotes in the aforementioned large arena. Three of them left an impression. Firstly, it was great to see Max Tegmark speak. I am reading his current book, Life 3.0, right now, and it is always a bit of trip when the author suddenly appears on a stage and you realize you have to throw away your mental image of that voice in your head that has been speaking to you from the pages of the book and adopt reality. In this case however, this was not a negative, as Max came across as both deeply knowledgeable and quite relaxed. He looked a bit like he is playing in the Ramones with his black leather jacket and black jeans; this I didn't see coming. In any case, I highly recommend checking out what he has to say. In light of the current almost bombastically overblown hype around AI, he is taking a very pragmatic view, based on many years of his own research. If you can imagine a future of "beneficial AI", check out his book, Life 3.0, for why and how we have a chance to get there. I was also impressed by Margrethe Vestager. She is a Danish politician and currently the European Commissioner for Competition. She captured the audience by simply speaking off of a couple of cue cards, not PowerPoint slides at all. Being a politician, she was casting a very official appearance, of course - but she wore some sick sneakers to a conservative dress which I thought was just awesome. Gotta love the Danish! Her talk centered around the reasoning behind the anti-trust investigation she brought against Google (which eventually lead to a $2.7 billion fine!) The details are too complicate to be reasonably summarized here, but essentially centered around the fact that while nobody in the EU has issues with Google's near-monopoly on search, in the eyes of the competition watchdogs, for Google to use this position to essentially favor their own products in search results creates intolerable fairness issues for other companies. It is very interesting to see how these views are developing outside of the US. The third and last memorable session had animated AI robots dialoguing with their inventor, Einstein, Artificial General Intelligence, distributed AI and models and the blockchain. It was by and large only missing Taylor Swift. SingularityNET is a new effort to create an open, free and decentralized market place for AI technology, enabled by Smart Contracts. I frankly don't have the slightest clue how that would work, but presenter Ben Goertzel was animatedly excited about the project. The case for needing an AI marketplace for narrow AIs to compose more general intelligences was laid out in a strenuous "discussion" with "lifelike" robots from Hanson Robotics. It is lost on me why everybody thinks they need to co-opt Einstein; first Salesforce calls their machine learning features Einstein, now these robotics guys have an Einstein robot on stage. I guess the path to the future requires still more detours to the past. I guess Einstein can't fight back on this anymore and at least they are picking an exceptional individual... Now that I am back in the US for only a day, the techno-optimism that's pervasive at Web Summit feels like a distant memory already.